Microsoft has announced it has released Windows Phone 7 to manufacturers as it gears up for a final release. 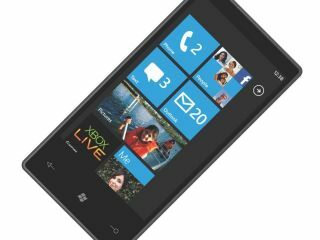 The Redmond group is calling Windows Phone 7 "most thoroughly tested mobile platform Microsoft has ever released" with ten thousand devices running multiple tests and thousands of vendors and early adopters playing around with the platform. Microsoft has tinkered ever so slightly with the running of the new OS, with things like being able to filter Facebook friends from your contact list and also 'like' statuses directly from the People Hub. This RTM step shows that Windows Phone 7 is finally free from Microsoft developers altering the platform significantly, and allows manufacturers to fully perfect the OS for use on their hardware. LG, Samsung, HTC and Dell are expected to be key partners for Windows Phone 7 when it appears next month on the first devices for its UK release date, and will hope for a positive reception as Microsoft finally tries to prove it can create a compelling mobile OS to rival Apple and Google.